Do you have a nail polish you have a LOVE / HATE relationship with?.. I bet you do! This is mine. I bought this as soon as it launches some years ago now, for a premium price directly off Illamasqua's website. I LOVE the colour, but I HATE the formula... It has put me off forking out for any other polishes from this brand, no matter how gorgeous other beauty bloggers' swatches look. I wonder if I have a duff bottle or if anyone else had this problem with this polish? They may have updated the formula since I bought my bottle 'back in the day'. 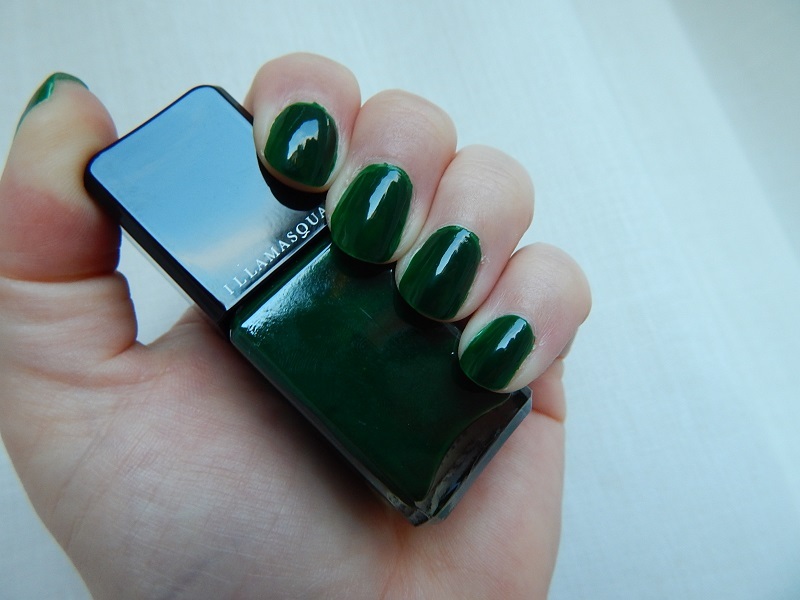 Looking at the photos I took, I still can't decide whether I LOVE or HATE this polish? Maybe I LOVE it out of guilt as I spent a lot of money on it? I don't want to over-analyze, I just wanna put the bottle back in my Helmer and forget the whole thing. NOTD: Barry M Gelly "Prickly Pear"
I am not sure it suits me but it is extremely pretty! As with most pastels this can be tricky to apply - I find that a thickish layer that is left to dry for 5 min followed by another thickish layer usually avoids bald patches and streakiness (depending on the individual polish formula). And it worked for this polish. I topped it with my usual Seche Vite! I don't normally buy foundations on a 'oooh look, a cool little bottle and it's cheap'. OK so I have been known to do that in the past but not often. Not TOO often. This will be Your ONE Foundation. ONE shade for everyone. 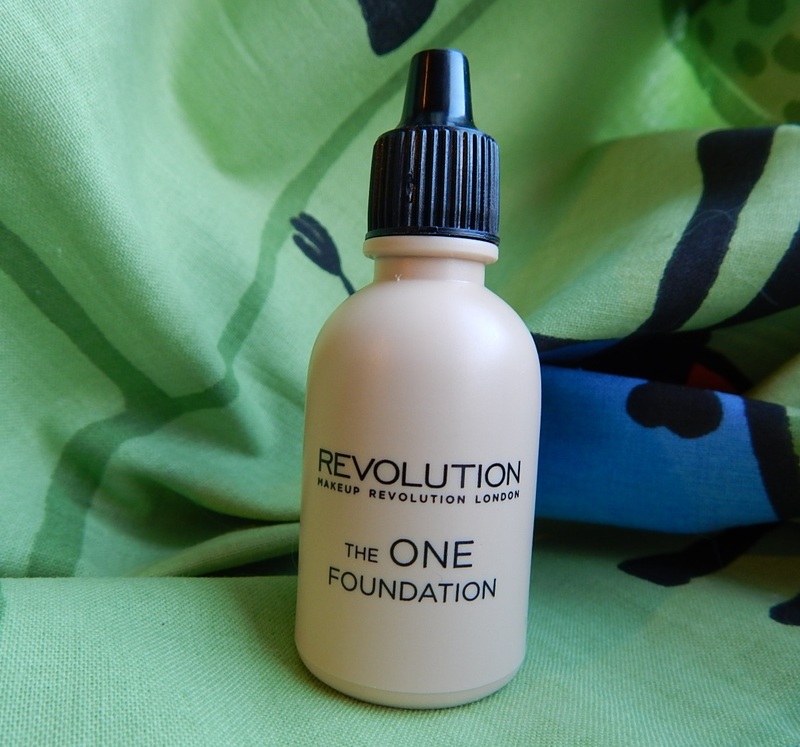 Using revolutionary fusion technology The ONE Foundation adapts to your skin tone and texture to give a flawless finish. Due to it's liquid formula, it is easily build-able and applied The ONE Foundation gives full coverage resulting in a matte finish. Available in 16 shades to suit every skin tone. A big promise for a small bottle :) Now to the shade selection. There are 16 shades but there isn't very good shade descriptors on the website. I had to Google a lot to find decent swatches of the shades - I figured out I might be between Shade 5 (which I got) and Shade 7, but not as yellow based as Shade 6. It blends really well with my skin tone. The colour won't be any good once spring's over but then I can always move up in the shades. There are 16 shades to choose from and I would definitely advise Googling swatches. So what's the low-down? Well, it is certainly a liquid foundation! You need to shake this up before applying it. Having tried various ways of putting this on including with a buffing brush and a traditional foundation brush my recommendation is to smooth it on with your fingers then lightly buff it with a kabuki/buffing brush. I dropped this directly onto the area to be covered and rubbed it in with fingers; put it on your hand and your carpet is doomed within seconds!! Coverage? Certainly buildable without caking but definitely not to full coverage. Nice satin finish but not matte as described, but my skin is currently covered in Soap & Glory Wish Upon A Jar 21 Day Collagen Overhaul Cream (the good, OLD version!) so I might be getting a dewier result. The wear test was a Saturday of exciting Boots perusal and some computer gaming followed by my Mother-In-Law's Burns Night dinner. It wore OK without blotching but did transfer a bit onto my jacket collar and by the end of the night I looked a bit slick in my T-zone. Again this might be down to wearing a heavier moisturiser. 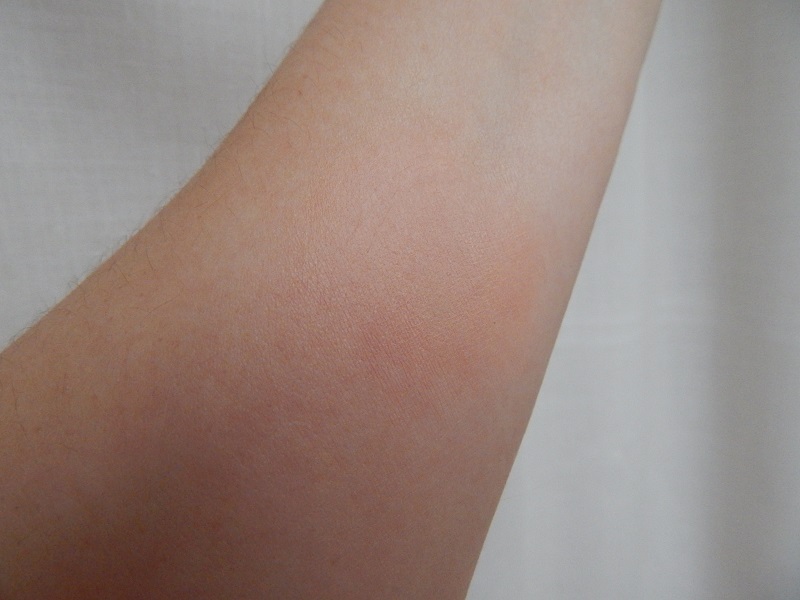 It feels nice and light on the skin and doesn't have any noticeable smell. Definitely worth the money if you are a younger beauty that is looking for a light to medium coverage with a satin finish! This is touted as a dupe for MAC Face and Body Foundation - it's been a while since I used that but I would say that from memory it seems very similar. As I am past the 20-somethings now and require a bit more of a dewy finish most days to radiate, I may not buy this again but it's definitely worth trying for the price and will be great for occasional wear when I want something more matte! Medium - coverage given as 'full', however I would say it only stretches to Medium. This product comes in 16 different shades! 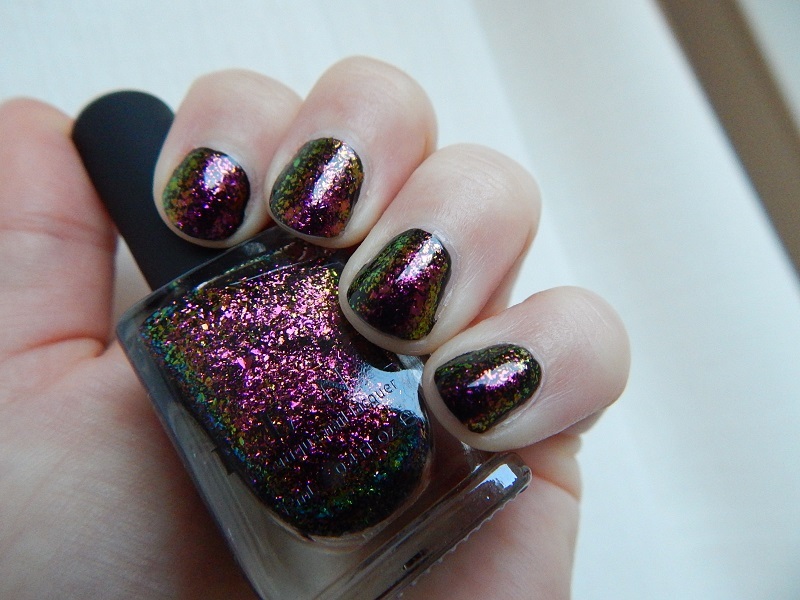 NOTD: Formula X Celestials "Astrolady"
Finally nail polish again, yay!! The Husband got me some flu capsules so feeling a bit better even though I am still bunged. My knee is getting the sutures taken out of it tomorrow so I NEEDED a hilariously glittery polish to cheer me up. It's a soft pink and gold textured glitter. This is 1 coat. That's right, just the 1 coat *jumps up and down with joy* :) That means I can enjoy this polish for years to come as I've hardly used up any product. Thank you Sephora! And also, please open a store with online shopping capability in the UK :( I think this was rather expensive (about £14, 139 Swedish krona?) but I can't really judge as I bought it in the hilariously expensive Sweden. I love this polish, it was worth the money! Packaging: Good - I would have liked a different brush holder, I find these Chanel-esque pop-off tops with a little twiddly barrel brush holder quite annoying to deal with. But it looks the part for the branding they are going for. Apparently 'the brush design was engineered to complement the highly pigmented, three-free formula, giving you the most even and precise lacquer application'. For me, the brush totally works but wouldn't say it's the next best thing since sliced bread?.. I'm still recovering from my knee surgery and this wretched cold virus I got post-surgery, so haven't been able to paint my nails decently. I tried this hideous white with opalescent flakes but it's all horribly dented so I won't embarrass myself and post a photo :( you can see the Tippex-like claws in the video below. My skin seems to eat blusher. Which is a bit creepy. So I went on the hunt for something more long lasting. I have used cream blush in the past (MAC), and wanted to avoid another horrific incident of trying to use a blush stain (Benefit Benetint). So onto the new generation blush cremes in a pump bottle it was! After looking across the internet I came across the ELF HD Blush, which was pretty much the reason for my birthday ELF haul (I promptly got a replacement for the faulty blush I received by the way!). I then by chance saw the Makeup Revolution ones in Superdrug the day after I'd ordered it! They are £3, so I picked up two shades I thought might suit me. 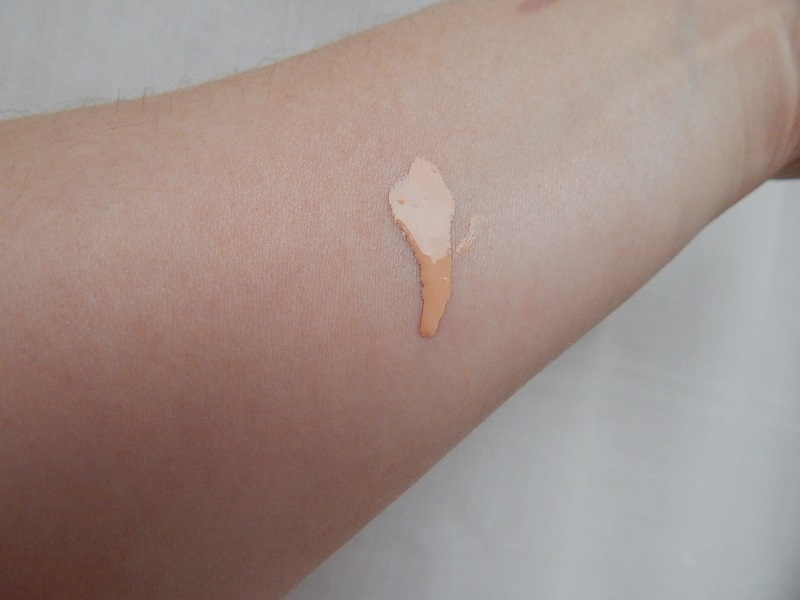 I promptly went on to swatch and was taken aback with the pigmentation... What a mess :) Took me a couple of tries and some YouTube watching to learn to get it right on my face! 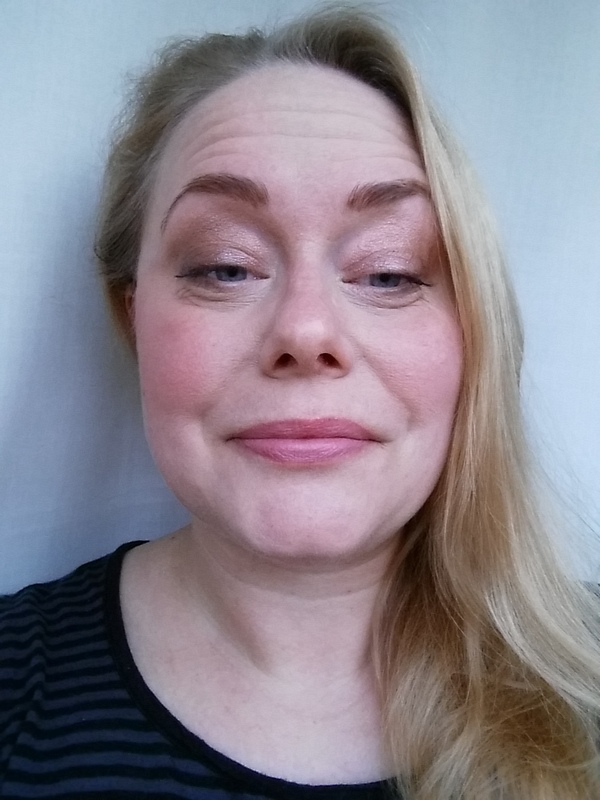 I will do a tutorial next week on my 'everyday face' so you will be able to see my technique then. As I swatched these they came out too heavily applied but you get the shades anyway, the trick is to then blend, blend and blend to get it the right intensity on your cheeks :) These look great though and last all day on my skin. They come if easily with my Garnier Micellar Water as well! I found that the Makeup Revolution blushes are a bit more fluid than the ELF but they blend out the same. 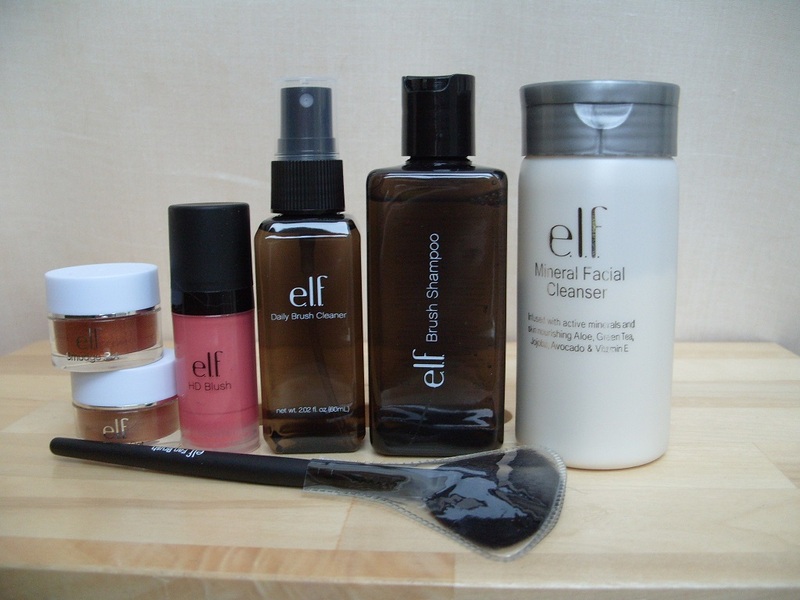 The ELF has some shimmer too it but not enough to make you look like you're wearing glitter! I made a little video for you, hope you enjoy - please stop by my new YouTube channel!  You can go to the Pretty Perfect Beauty YouTube channel HERE! I only bought one of the hyped ILNP Ultra Chrome Flakies and this is it! I wanted to wear this several times but something else always caught my fancy instead?? 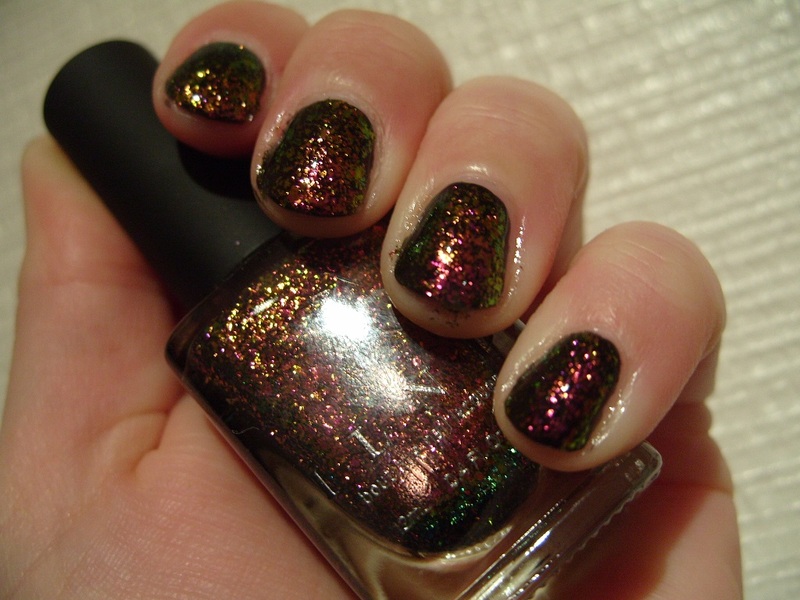 It looks nice in most lights but is amazing in daylight (going by the swatch on my nail polish wheel). Now that Xmas is over I think that possibly I wanted spring colours and not dark ones?.. The brush was fine, but the formula caught me out a couple of times (yeah, I was overloading the brush) but it goes on smooth and more opaque than I thought :) This is one coat over black (Sinful Color Black on Black, of course). I slicked on some Seche Vite and decided to go snappy-snappy. Not pleased with any of my photos :( the duochrome and flakies goodness just doesn't really translate in artificial light. I will take another photo for you tomorrow in daylight! In other news, I have bought a new web cam and I am planning on branching out to some videos as well. I have been playing around with video editing software this weekend for some holiday snaps and would like to try my hand at doing more beauty videos :) But as I discovered the web cam I have is about 6 years old and to be honest, absolute sh*t. As my Mum said when we last spoke on Skype and I was using my Samsung Galaxy S5, "Oh I can actually see you!".... Ahem. Sooooo, I am hoping to get some videos done as soon as the magic gadget arrives later this week, if my leg isn't too sore (having surgery on my knee on Thursday - eeek!). I'm working on a review of my new Makeup Revolution Vivid Blush Lacquers which I acquired last week. I have been road testing them and I am in love :) I will try and make a video to accompany the review, so keep an eye out! So I decided to treat myself for my birthday and there were some special offers on on the E.L.F website so I decided to get do some haulin'! When I got the parcel on Friday I eagerly opened it but to my dismay I discovered that the product I was most looking forward to trying was faulty :( The pump on the HD Blush is broken; it seems possibly the bottom of the air pumping mechanism isn't sealed? As I tried to get product out it seeped into the bottom of the bottle (which it shouldn't do) and nothing came out. I've heard good things about the Smudge Pots (left); they're supposed to be a cream eyeshadow/liner. I am wondering if they are as good as the Maybelline 24hr Color Tattoos? I will review all the products separately, so keep an eye out. I'm especially excited to see just how different the Mineral Facial Cleanser is to Dermalogica's Daily Microfoliant! :) I will do a side by side comparison for you early this week. 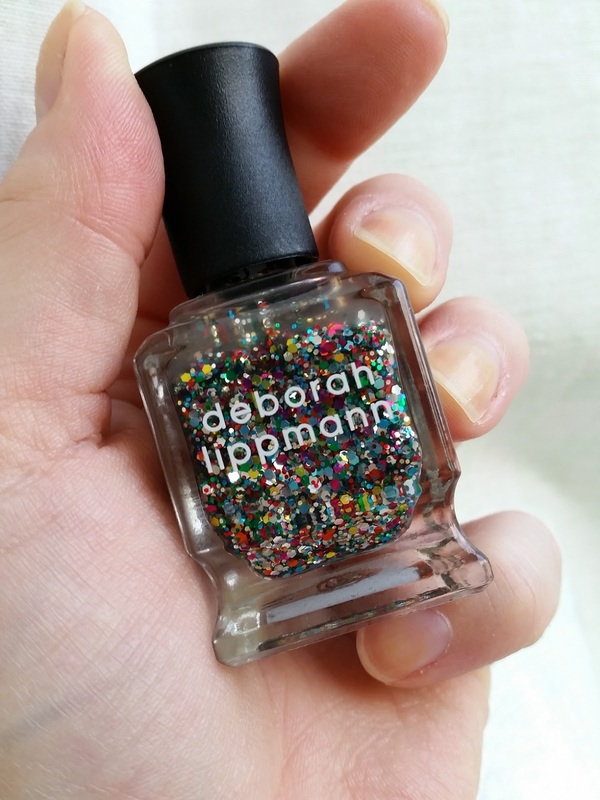 BIRTHDAY NOTD: Deborah Lippmann "Happy Birthday!" So I went for a January sales foray into Boots this morning, scored some primo stuff, and got a load of extra points (it's my birthday this month!). More on that at the end of the post. In my foray I found this polish from Barry M. I am not sure why I decided it was the hottest thing I've seen for a while, because it really isn't?.. I would call this colour 'grandma pink' or something. But for some reason, I LOVE it!! 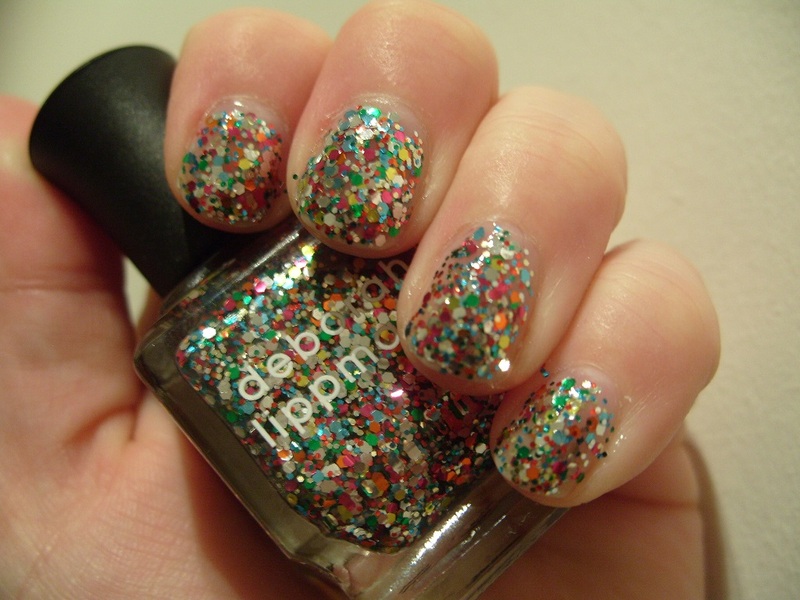 Is it a reaction to all the sparkly polishes I got in my Depend Advent Calendar for Xmas?.. Anyway, it's HOT. 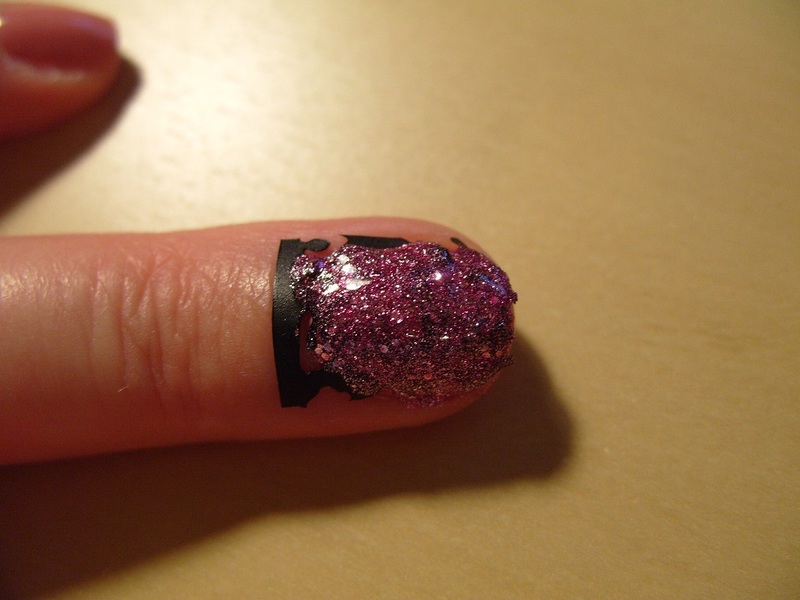 I then decided I was going to try the Sephora Smart Roller nail stencil thing I bought in Stockholm! After a quick Google to see if there were any instructional videos I was off. It says let polish dry fully. Pfft!! *impatient* With Seche Vite that's a long 5 mins for me (it thankfully proved enough). The strip come in what I assume are nail sized sections. With my nails being so 'petite' I just cut one of those in half and it was perfect size. Stuck it on, painted a thick layer of Depend #2062 on. Carefully lifted the flat edge off my cuticle and pulled it straight off. Voila! 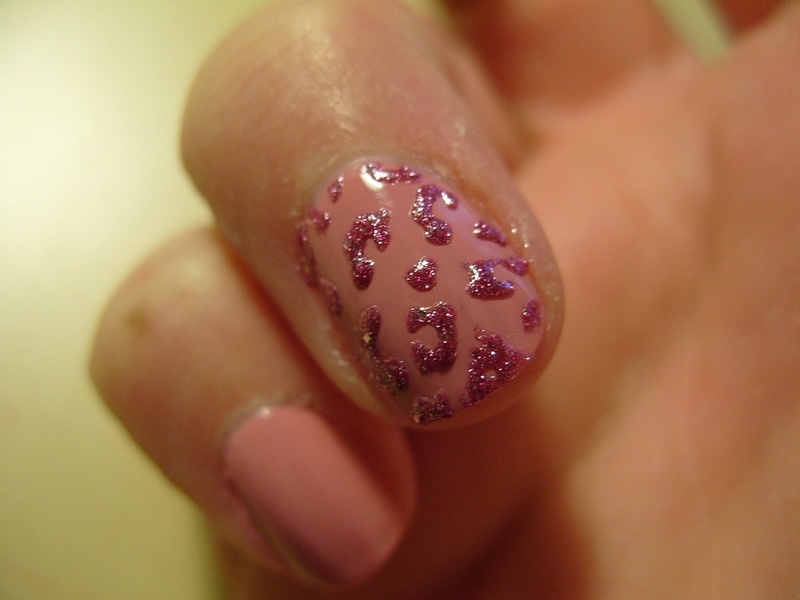 Leopard print pink glittery 3D goodness :) I am SOOO going to make a rainbow gradient leopard nail with this stuff!!! 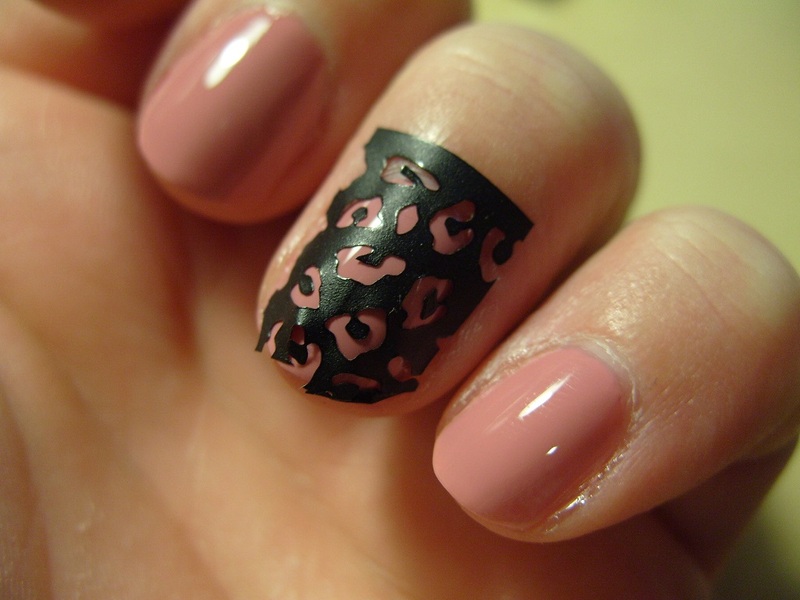 If you can find this, Didoline's Nails has a good YouTube tutorial (pictorially anyway, I don't speak much French). 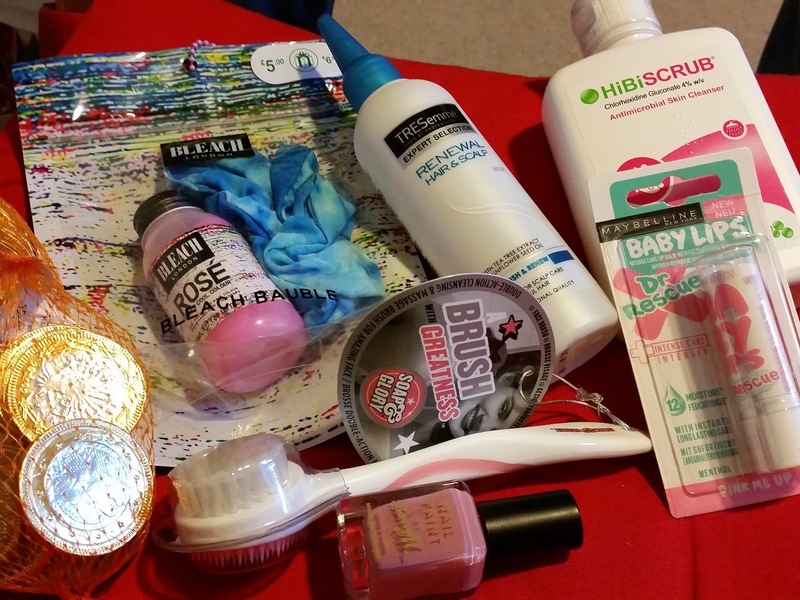 wait to try all my new stuff - I have a lot of it! !